We are seeking a part-time Welcome Center staff member at our Marion branch. Welcome Center Staff promptly greet all persons entering the YMCA, as well as answers any incoming telephone calls. The staff is responsible for membership sign-up and program registration, arranging facility tours, enforcing safety rules, and other duties as needed. Serves as a friendly, knowledgeable, responsible and caring representative of the YMCA, relating to all people who either call or come into the YMCA. Accurately and efficiently performs all duties and functions, as delegated, relating to the Welcome Center Area: membership sales, program registrations, requests for information, data entry, etc.. Enjoy working and interacting with people of all types and ages, modeling the important core values of caring, honesty, respect, and responsibility. Must be dependable, responsible, patient, mature, and customer service oriented with the ability to relate in a positive manner to all persons who either call or enter the YMCA facility. Must possess and utilize strong communication skills, including verbal, written and listening. Must possess basic computer skills and be able and willing to learn to use the YMCA computer systems to perform the duties of the position. 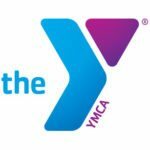 Must be willing to learn, stay current, and accurately communicate information regarding the YMCA mission, rules, policies and procedures, facilities, membership, programs, and member services. Must have strength of character to administer and adhere to and enforce all established YMCA rules, policies and procedures. Evening shifts: Weeknights: 5:00 p.m. to 9:00 p.m.